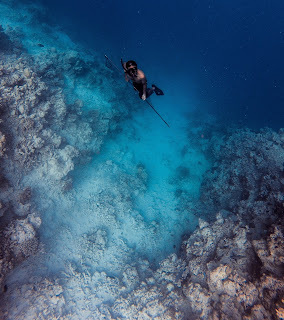 Below the great, murky depths are many sea creatures. Some are cute like a sea otter and others can be exceptionally dangerous like the barracuda. 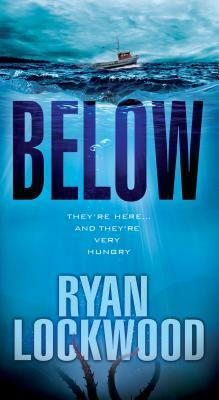 In Ryan Lockwood's world, the 'red devils' are prowling beneath the waves looking for their next meal. I mentioned this will be my shortest review(Probably not my last) but it's for one blistering loud reason - as a reader I can't tell whether or not this is an ocean suspense story or a cover for the author's revelation of being racist. And that's just awful. Every oceanic thriller needs a hero and that's supposedly Will Thurman. Typical adventurer. He's gritty, flawed, a widowed male but with a huge problem. He's also a racist apologist. Friends with many that view Mexicans as the worst(And that's being kind) but that's okay; there's nothing wrong with that POV. Them's really good people! (*rolls eyes*) I truly wish that was a joke. It's a glaring problem that jumps out right from the beginning. A flaw that rapidly took the enjoyment out of reading the book. In fact, I'm glad I deleted it from my Kindle library. Good riddance. What a waste of e-space. Apart from Will's huge racist problem, there's also the 'wonderful' company that Thurman keeps in the form of even more blatant racists. Never mind that Will is also related by marriage to a Mexican cop. I suppose when his wife passes away that the bond of brothers is torn away as well. When Will's brother-in-law is beaten in public, Will only gives a shrug of an apology for the crappy behavior of his friends. Honestly, it's sad that the only redeeming factor that Will has that gives a small clue that he's somewhat human is that he's at least fond of taking care of his pet dog. So is there anything positive to the story? 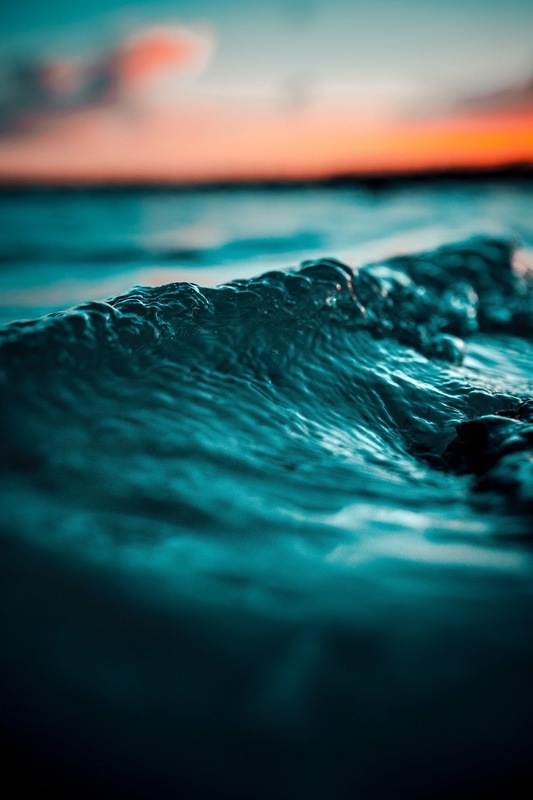 I will give kudos that the author appears knowledgeable when discussing marine life. But that's about it. Which is a real shame. There's not enough monster creature novels out there. 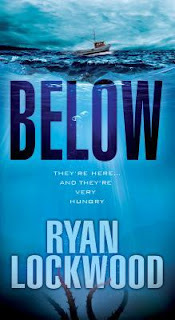 The book, 'Below' could have been a decent story if only the author didn't allow his personal beliefs bleed out all over the pages. Chronicles of Zaloria is a novel series based on a Fantasy & Magic love story with Humanoid Wolves. The Varul society is based on a warrior's life with a sole king that rules over the entire realm. A mystical land where mortals are not allowed to set foot. This story spans the lives of the royal family with themes of life & death, friendship & love, and learning to accept that it's okay to be yourself. Meet Acalia Itzchel. A young woman that seeks to find her place among her own clansmen. Despite her royal title of 'princess' she is seemingly blessed(or in her POV - cursed) with the appearance of a she-wolf. In Zaloria, the males appear like humanoid wolves while all the female Varul very much seem like humans. However, Acalia has wolf ears, tail, claws and fangs like the male warriors. There's only one other that shares similar attributes as her and that's Acalia's grandmother. A former legendary heroine that is ostracized by all the clans. For as long as Acalia could remember the Zephyr were the only wolf clan in Zaloria, and her grandmother was a hero from battles long past. In an instant, everything she believed to be true is tested, when she's told her entire life is a lie. Tormented by her world falling apart around her, Acalia struggles to find a way to the truth while being hunted by an ancient evil. And then, unexpectedly, a powerful warrior appears stirring a dangerous fire within her blood. Bound by fate, will their love be possible when a legacy of revenge closes in fast, hellbent on destroying the peace of the realm?